Looking for a School Outing or Field Trip??? Call 936-630-0526 to book today! Host YOUR next event at The Pines! 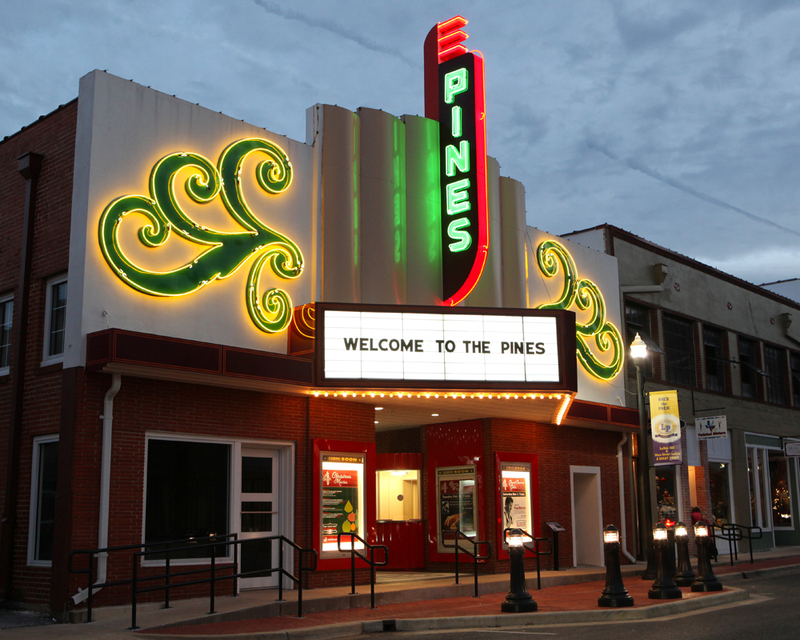 CLICK HERE to complete a simple request for proposal, or contact Brant Lee, Lufkin's director of the Pitser Garrison Convention Center and The Pines Theater. Fixed stage lights are included in the basic rental. Additional technicians may be required for the rental of Intelligent Lights at the discretion of the manager. Sound and lighting equipment may only be operated by technicians approved by the theater manager. If piano tuning is required, an additional $150 tuning fee will be assessed. Refundable damage deposit of $250 will be assessed. Final payment is due thirty (30) days prior to event. A discount of $100/event will be applied when booking three (3) or more events in a calendar year. Bartenders/Security will be required per City of Lufkin policy if alcohol is sold during an event at the cost of the renter. Rental time includes rehearsal, set up and/or tear down of equipment. All food and beverage concessions will be operated by the City of Lufkin. Proceeds will be retained by the City of Lufkin. ​Rental time includes rehearsal, set up and/or tear down of equipment.